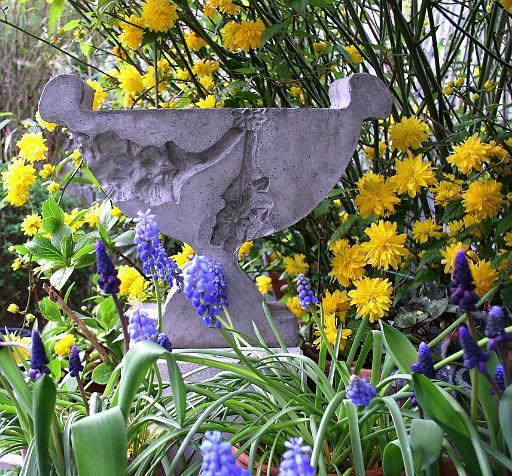 I’ve been interested in urns as iconic sculptural objects for some time. 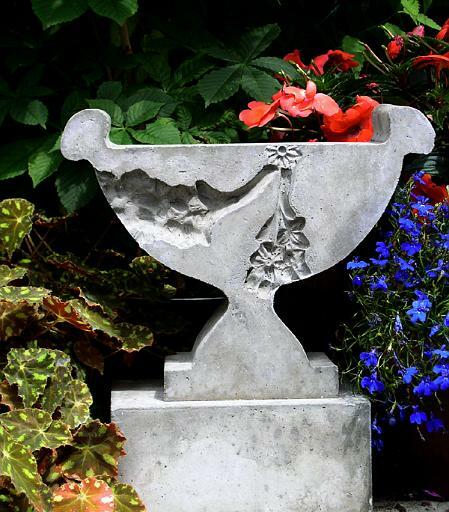 I created my own collection of concrete urn sculptures which re-interpret classical and traditional urns found in all kinds of settings, from unassuming gate posts to formal gardens like Versailles. 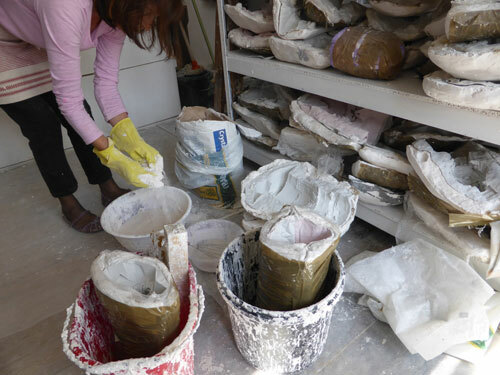 In my versions decorative motifs are cast into the surface and the imagery is indented. I'm always on the look out for urns and this is one of my favourites. Like mine, it is very solid and the shape is very simple. I like the way part has broken off and the stone become so weathered and such a beautiful colour. The lichen almost looks like an intended part of the sculpture. 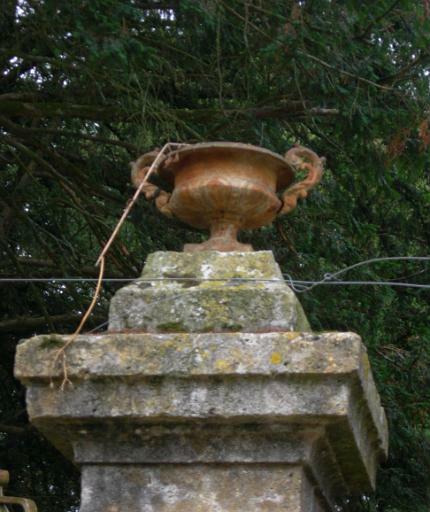 This rusting urn is very beautiful I think - it was on the gate post of a decaying old house in France (in fact all the old urns in this post I photographed in France) It seems to hint at a more noble history. These are the most unassuming urns I've come across so far. 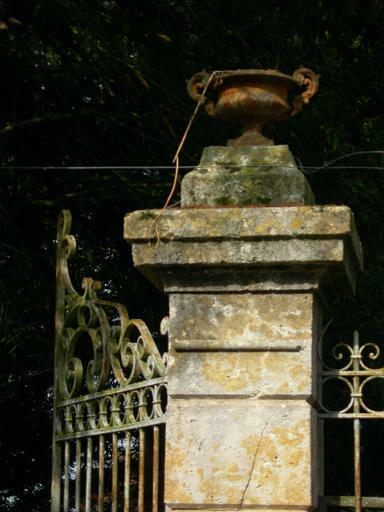 It's interesting how even humble houses provide a setting for a pair of urns - the occupants clearly thought that urns would add an air of distinction to their gate. I like the contrast of the quite elegant shapes with the rough and crumbling concrete posts and the low-key wire gate. I used a motif based on the acanthus plant for this pair. I think that often the urns just get forgotten about, they gradually crumble away giving them a sad neglected look but I think they still have a very strong sculptural presence. I've returned often in my work to the swag and drop motif which to me is quintessentially Baroque. The concrete weathers just like stone and the colour is never uniform which gives the sculpture an ancient feel similar to some of the old ones I've photographed. This is a more classy urn in beautiful mellow stone. 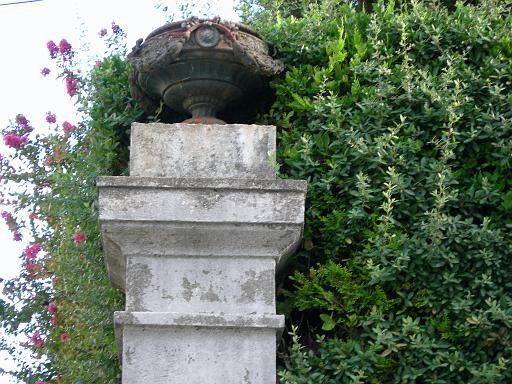 I think it's interesting that urns are rarely planted despite being containers - their role has always been more sculptural than functional. Grapes and leaves are another motif I have often returned to and this particular imagery works very well in reverse - i.e indented rather than in relief. 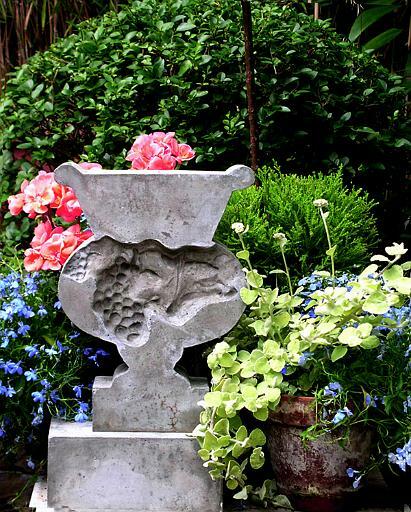 It is incredible just how many different styles and shapes of urns exist. 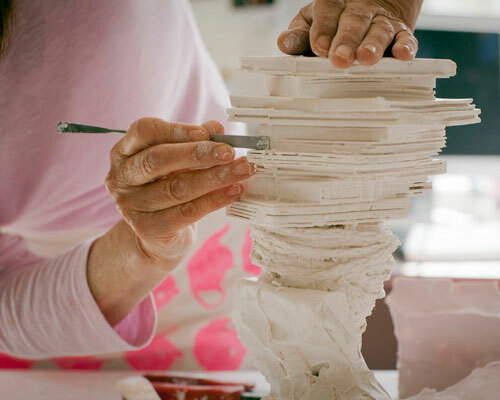 This one has very flamboyant handles and the low, wide shape is one I've referred to in the urn sculpture below. I like the way these sculpted swags are so three-dimensional. 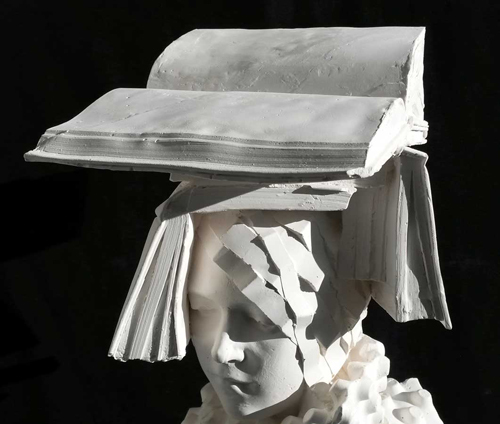 It is precisely this kind of ornament which I have re-interpreted in my sculptures. 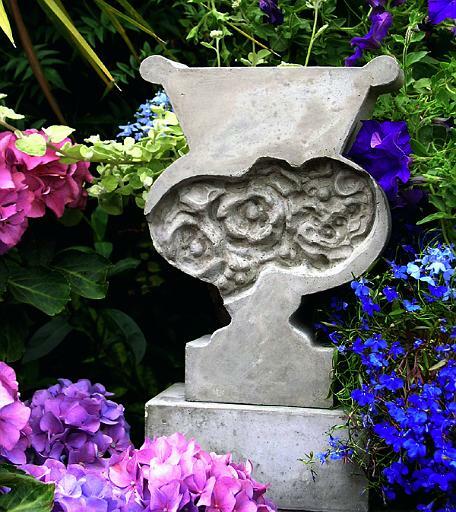 The only urn I ever photographed with flowers in it - the colours contrast well with the grey stone, a colour I reproduce in concrete.